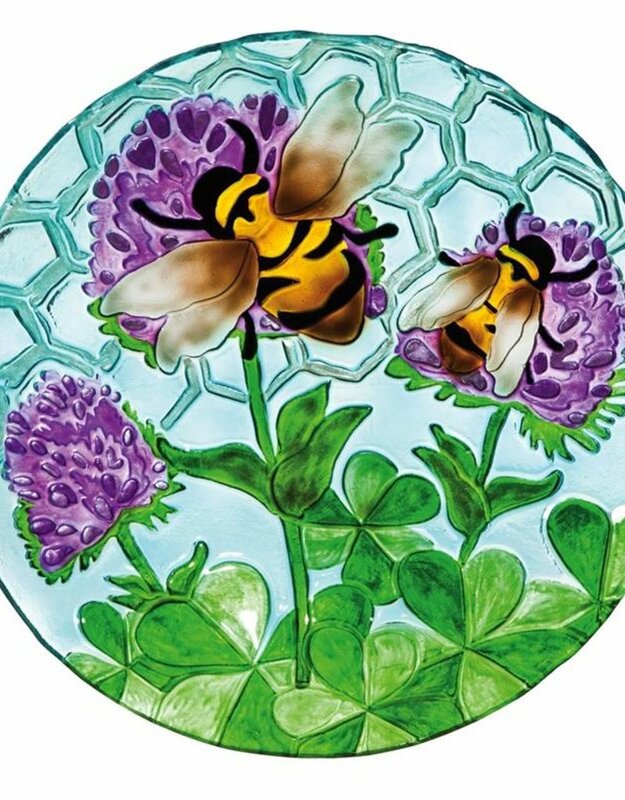 This glass bird bath is 18" in diameter and features a hand-painted design. 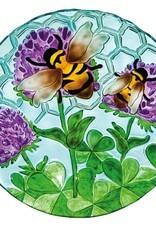 It has a blue honeycomb background with a bee buzzing on purple flowers. Glass is thick for outdoor or indoor use. Bring inside during cold weather. Hold 64 ounces of water or seed.